Directions: 10 miles off Route 6, midway between Wellsboro and Mansfield. 406 acre park with 137-acre lake. Family Park known for good warm water fishing, boating, camping, picnicking, swimming, hiking, wildlife. Boating is available with rowboats, paddleboats, kayaks and canoes being available for rent during the summer. Sail boating and electric motors are permitted. 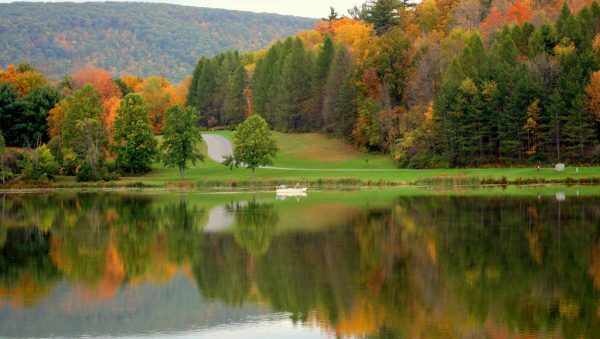 The park has 102 campsites, 3 cottages, yurts, 10 cabins and organized group camping. Other features include a sand beach, fishing, hiking and picnicking.